Genes for tuberous sclerosis complex (TSC) type 2 and autosomal-dominant polycystic kidney disease (ADPKD) type 1 are both encoded over a short segment of chromosome 16. When deletions involve both genes, an entity known as the TSC2/ADPKD1 contiguous gene syndrome, variable phenotypes of TSC and ADPKD are exhibited. This syndrome has not been reviewed in the radiology literature. Unlike renal cysts in TSC, cystic disease in TSC2/ADPKD1 contiguous gene syndrome results in hypertension and renal failure. A radiologist might demonstrate polycystic kidney disease before the patient develops other stigmata of TSC. Conversely, in patients with known TSC, enlarged and polycystic kidneys should signal the possibility of the TSC2/ADPKD1 contiguous gene syndrome and not simply TSC. Distinguishing these diagnoses has implications in prognosis, treatment and genetic counseling. To describe the clinical and imaging findings of tuberous sclerosis complex and polycystic kidney disease in seven pediatric patients. We retrospectively reviewed renal and brain imaging of children and young adults with genetically proven or high clinical suspicion for TSC2/ADPKD1 contiguous gene syndrome. We included seven pediatric patients from two referral institutions. Ages ranged from birth to 21 years over the course of imaging. The mean follow-up period was 9 years 8 months (4 years 6 months to 20 years 6 months). No child progressed to end-stage renal disease during this period. Three patients were initially imaged for stigmata of TSC, three for abdominal distension and one for elevated serum creatinine concentration. All patients developed enlarged, polycystic kidneys. The latest available imaging studies demonstrated that in 12 of the 14 kidneys 50% or more of the parenchyma was ultimately replaced by >15 cysts, resulting in significant cortical thinning. The largest cysts in each kidney ranged from 2.4 cm to 9.3 cm. Echogenic lesions were present in 13 of the 14 kidneys, in keeping with angiomyolipomas (ranging from 0.4 cm to 7.8 cm). Compared to the latest imaging studies, the initial studies only demonstrated 64% of kidneys to be borderline or enlarged; the majority had 10 or more cysts and 0–5 echogenic foci in each kidney, measuring 0.8 cm maximally, which were possible angiomyolipomas. Increased cortical echogenicity was observed in eight kidneys, and decreased corticomedullary differentiation was demonstrated in six kidneys. Cortical thinning varied with size and number of cysts. The sonographic renal findings in TSC2/ADPKD1 contiguous gene syndrome progress over time and demonstrate a specific pattern of renal disease different from typical tuberous sclerosis complex. There are multiple cysts at presentation and there is progressive enlargement of the kidneys and of the renal cysts. 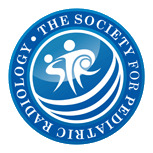 Because clinical or imaging findings of TSC may not manifest in the young child, the radiologist can be the first to suggest a diagnosis of TSC2/ADPKD1 contiguous gene syndrome and recommend thorough skin examination and imaging in search of TSC findings. 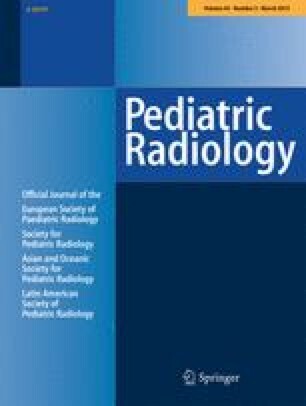 The radiologist should be able to suggest the diagnosis of TSC2/ADPKD1 contiguous gene syndrome in children with TSC who have large cysts occupying a large portion of an enlarged kidney. This should not be dismissed as renal cystic disease of TSC or as ADPKD because the diagnosis of TSC2/ADPKD1 contiguous gene syndrome has implications for patient management and prognosis.